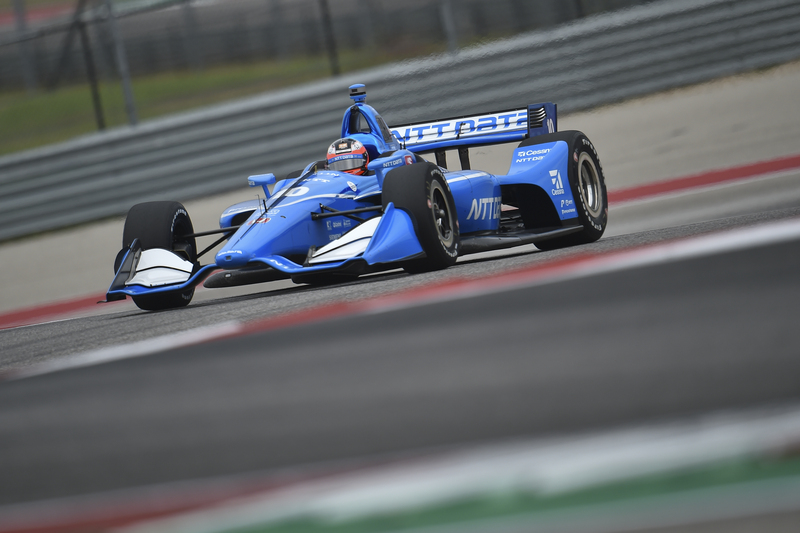 AUSTIN, Texas – Circuit of The Americas may be a new track to the NTT IndyCar Series, but the NTT P1 Award winner for the first race there isn’t. 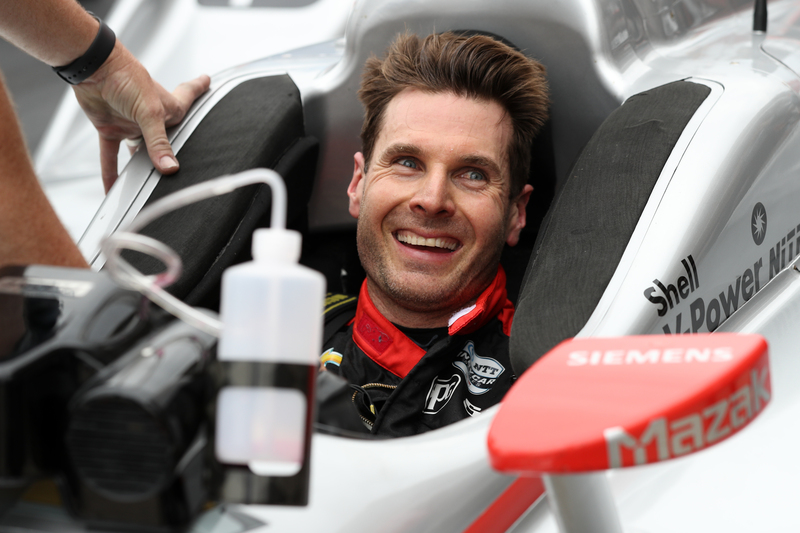 Will Power continued his climb up the Indy car history charts, winning his 56th career pole position Saturday in NTT P1 Award qualifying for the inaugural INDYCAR Classic. 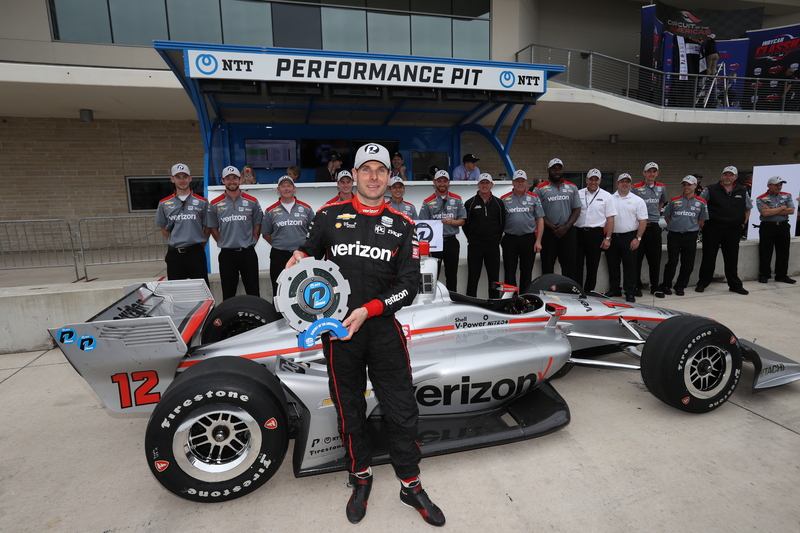 The Team Penske driver will lead the 24-car field to the green flag in Sunday’s first NTT IndyCar Series race at Circuit of The Americas. Power, the only Chevrolet-powered driver to reach the final round of qualifications on Saturday, is now eligible to collect a $100,000 bonus from COTA if he can win the 60-lap race from the pole position. Live coverage begins at 1 p.m. ET Sunday on NBCSN, NBCSports.com, the NBC Sports app and the Advance Auto Parts INDYCAR Radio Network. 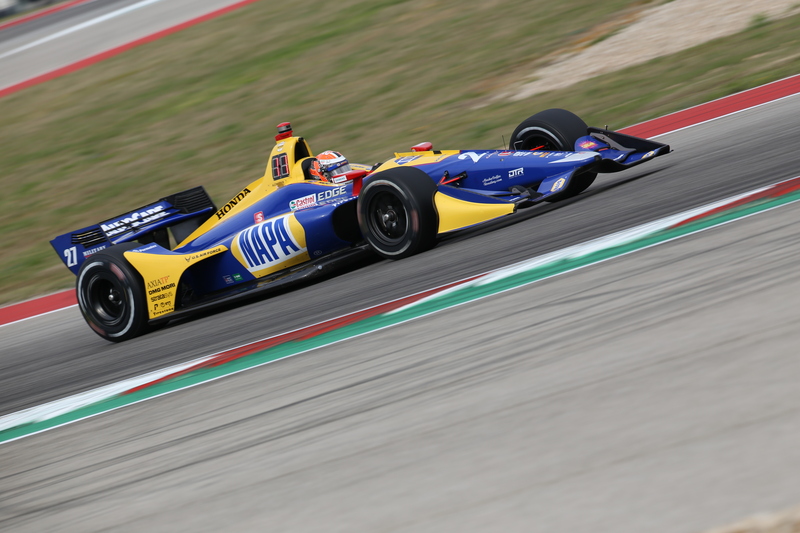 Alexander Rossi will join Power on the front row for Sunday’s race after qualifying second Saturday. The Andretti Autosport driver turned a Firestone Fast Six lap of 1:46.1761 (115.619 mph) in the No. 27 NAPA AUTO PARTS Honda. Rossi’s teammate, Ryan Hunter-Reay, was third in the No. 28 DHL Honda (1:46.3228, 115.460 mph). 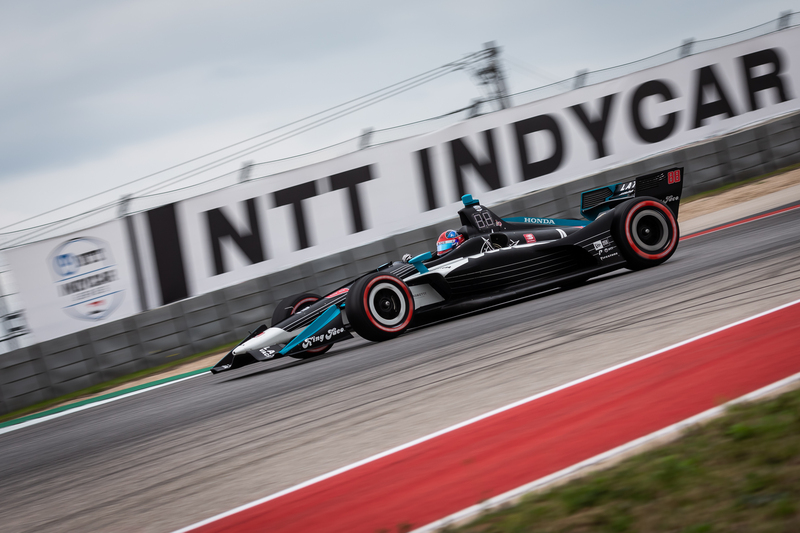 NTT IndyCar Series rookie Colton Herta continued his strong performance at COTA by qualifying fourth in the No. 88 Harding Steinbrenner Racing Honda (1:46.3594, 115.420 mph). Chip Ganassi Racing teammates Felix Rosenqvist and Scott Dixon will start the race from Row 3. After setting the NTT IndyCar Series track record in second-round qualifying in the No. 10 NTT DATA Honda, Rosenqvist posted the fifth-fastest lap in the Firestone Fast Six (1:46.5680, 115.194 mph). Dixon, the reigning and five-time NTT IndyCar Series champion, was sixth at 1:46.9375 (114.796 mph) in the No. 9 PNC Bank Honda. Josef Newgarden, the 2019 points leader after winning the season-opening race two weeks ago at St. Petersburg, Florida, just missed reaching the Firestone Fast Six and will start seventh in the No. 2 PPG Team Penske Chevrolet. Rosenqvist set the best lap of the weekend thus far in the second round of qualifying, a circuit timed at 1:45.4542 (116.411 mph). Jack Harvey and Tony Kanaan each slid off track into the gravel in Turn 19, bringing premature ends to each group of qualifying in Round 1. While those two drivers will start from the last row in the race, the red-flag stoppages prevented other notable drivers from logging a lap fast enough to advance to the next round – including James Hinchcliffe (who will start 15th), Sebastien Bourdais (17th) and Simon Pagenaud (22nd). Oliver Askew rolled away from the pole position and on to a comfortable victory in the first Indy Lights presented by Cooper Tires race of a doubleheader weekend at Circuit of The Americas. The Andretti Autosport driver won the 20-lap race by a sizable margin of 24.6800 seconds. Rinus VeeKay (Juncos Racing) finished second after an exciting battle with Robert Megennis (Andretti Autosport), who wound up third. The second Indy Lights race from COTA starts at 10:10 a.m. ET Sunday and will stream live on INDYCAR Pass on NBC Sports Gold.